ANTS strives to make positive life changing impacts on the lives of children through the sport of tennis! Our main goal is to have fun and a positive impact on the children, programs, and entities we become involved with. ANTS coaches must have a fun personality and an open understanding of the larger themes we are promoting. A love for the game of tennis and a passion for youth development as your lifestyle is a must. PAY: Competitive hourly for head coaches with great opportunities to move up within the organization. Practices and Play are held 1 day/wk sometime between Mon-Fri. You may also coach multiple schools! Most Practices and Play sessions are 1 hr. long and are held between the hours of 2:30pm and 6:00pm, and it is often the case we have multiple teams practicing back to back hours! Being an ANTS Coach is a great way to get involved with children and the community! All Coach Training is provided by ANTS. Responsible & Professional: Arrive on time to each practice, keeps accurate attendance, and neat in appearance. Communication: Have STRONG communication skills. It is required for coaches to communicate with ANTS, parents, and site staff through email and phone. Enthusiastic & Fun: MUST enjoy & interact well with young children, and help make the ANTS Tennis the highlight of their day! Patience: Be a patient person who understands young children & the need to develop at their own pace. Tennis Knowledge: Tennis experience as a player or coach (at least 2 years) is highly preferred, though not required; however, having a passion & familiarity with tennis or sports is desired. Transportation: Coaches must have reliable transportation to get to their various coaching sites. Background Check: A successful candidate must pass a Federal & State Background Check and/or FBI Fingerprinting (Livescan). TB test (within the last year) and CPR certification is a plus. Candidates who have worked in the preschool/elementary school setting and have completed ECE units are desired; though not required. Bilingual: Spanish, Cantonese, and Mandarin are all a plus! Please let us know if you speak a second language! Which city are you available to coach in? What age children have you worked with? How many hours a week can you coach? Coaches are responsible for transporting equipment to each of their programs. Have you ever been arrested or convicted for/of any criminal offense? 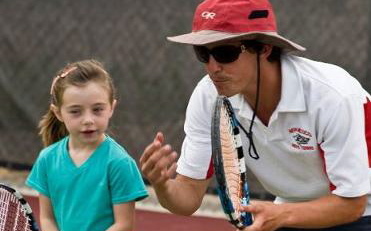 What do you hope to gain from becoming an ANTS Tennis Coach? What is your philosophy about discipline? How would you handle a situation that upset or angered you? List 3 greatest strengths and 3 most difficult problems you have with working with children.